The Maze was just the beginning. After the harrowing adventure of escaping the maze, the Gladers find themselves right in the center of an epic mystery in MAZE RUNNER: THE SCORCH TRIALS, available on Digital HD December 4th, and Blu-ray™ and DVD December 15th. 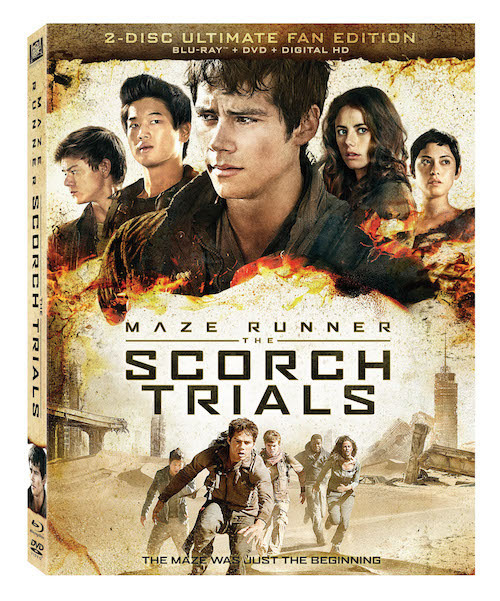 Party of 5 is giving away a copy of Maze Runner: Scorch Trials! Ends 1/13!! Just leave a comment below telling me who you will be watching this with! I will be watching this incredible movie with my son and daughter. We have the book and enjoyed reading it. I would love to watch this with my wife. Thanks for the giveaway. I hope that I win. Bernie W. BWallace1980(at)hotmail(com). I'd watch it with at least my mom andmaybe my siblings would join us, but i haevnt seen it so i really want to! !